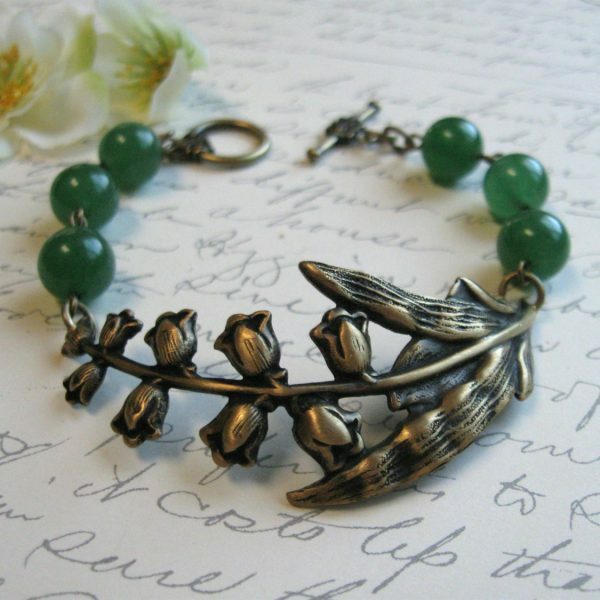 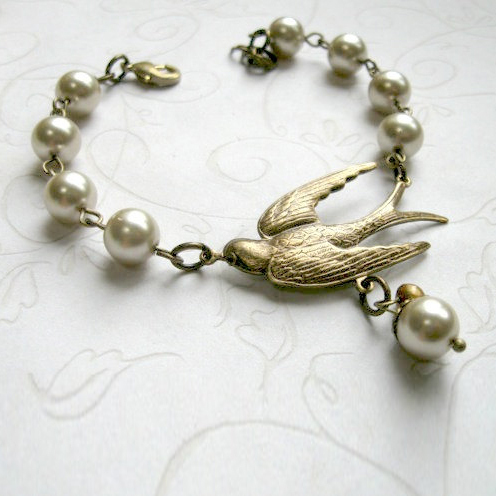 Here is a lovely nature inspired bird bracelet, featuring an antiqued brass bird focal piece, along with taupe colored, glass pearls. 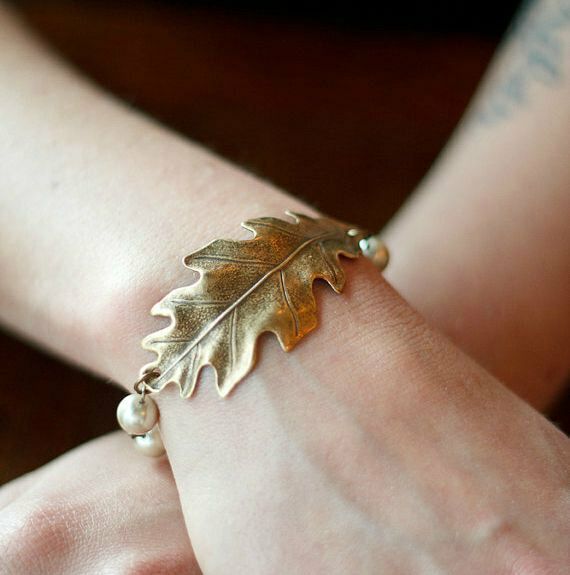 This bracelet comes with a solid brass clasp closure and is adjustable from 7″- 7.5″ long. 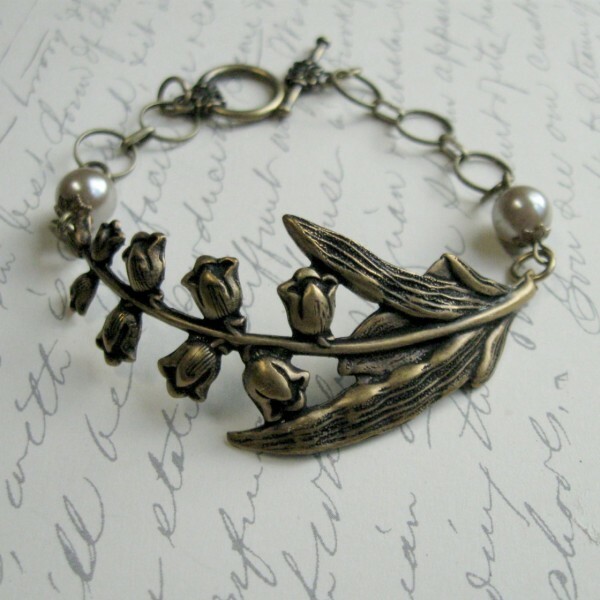 Lovely for a bride or bridesmaid!